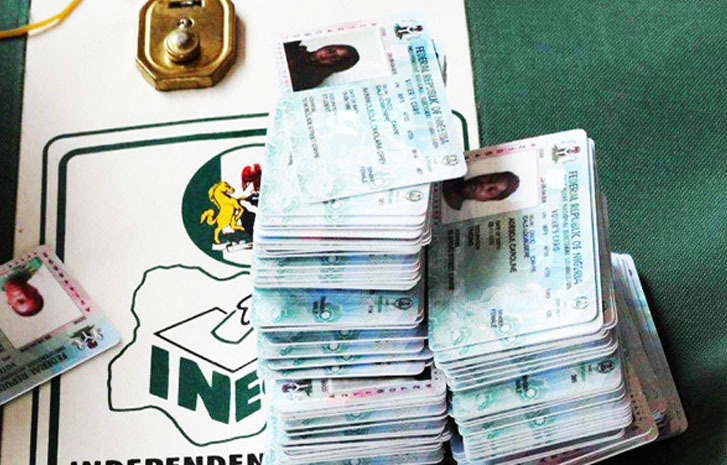 As part of effort to ensure that registered voters are not disenfranchised in the forthcoming elections, the Independent National Electoral Commission (INEC) has extended the collection of Permanent Voter Cards (PVCs) scheduled to end today to Monday. The electoral body has also revealed that the collection of PVCs would now take place from 9am to 6pm daily, including Saturday and Sunday. The chairman of the Commission, Prof. Mahmood Yakubu, disclosed this Friday at the regular meeting with Resident Electoral Commissioners (RECs) held at the commission’s headquarters in Abuja. Yakubu noted, “At this meeting, we will undertake a comprehensive review of our preparations. Overall, the Commission is ready for the elections. Nevertheless, we are ever ready to fine-tune processes and procedures in order to serve Nigerians better. “The collection of PVCs scheduled to end today Friday, 8th February 2019 is hereby extended nationwide to Monday, 11th February 2019. This will include Saturday and Sunday. The Commission however reassured Nigerians that it would continue to take every necessary step to ensure that no registered voter is disenfranchised on account of non-collection of PVCs. He said, “We wish to reiterate that after the deadline of Monday, 11th February 2019, all uncollected PVCs will be recalled and deposited with the Central Bank of Nigeria (CBN) for safe-keeping until after the general election when the collection of cards and the continuous registration of voters will resume.